What are the Symptoms of Mold? Molds are organisms which are neither plant nor animal. they are part of the fungi kingdom! Unlike plants, molds do not get their energy from the sun through photosynthesis. In fact, the sun's ultraviolet light inhibits mold growth. Molds also digest or "eat" the material they are growing on. The role of mold is to break down decaying organic matter such as dead plants, leaves or dead animals. Inside the home, mold likes to grow in carpet, paper, drywall, insulation, wood and food. Besides oxygen and organic materials containing carbon to contain nutrients, the other main requirement mold needs to grow is moisture. 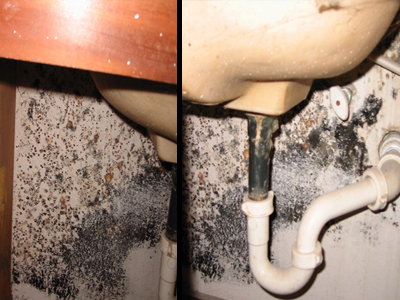 You can find mold growing almost anywhere provided there is enough moisture source. Mold problems cannot develop in houses unless there is a moisture problem. The moisture accumulation might be caused by humidity, condensation, or water intrusion from leaks, spills, floods etc. Most molds only require suitable materials to be wet for 24-48 hours before they can grow. Molds that can survive using only humidity as their moisture source are called Xerophilic, where as other molds require an accumulation to grow. 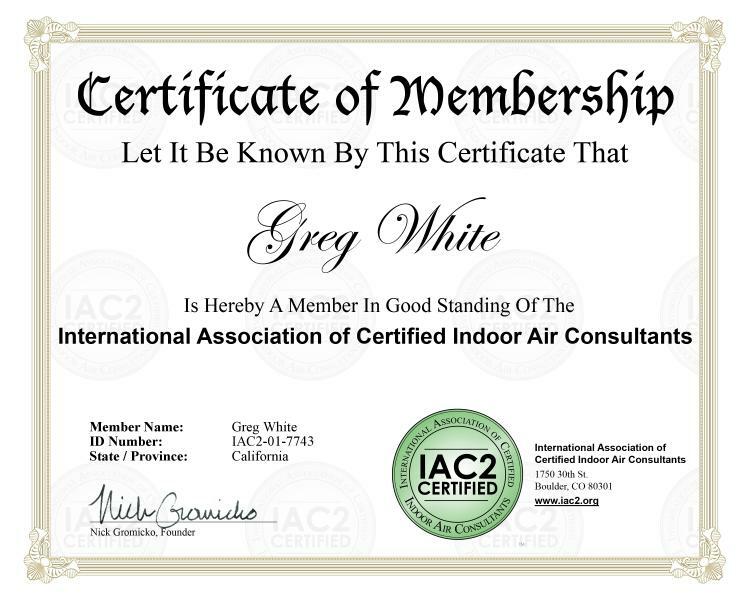 Indoors, the best way to prevent mold growing is to limit moisture. Besides moisture, mold also needs the temperature to be right before it can begin to grow. Mold grows best in temperatures that we would consider warm, however there are some mold species that can even grow in temperatures as low as 2 degrees Celsius. If a mold colony's environmental conditions become unfavorable, instead of dying it can lay dormant until conditions become right again when it can continue to grow. Not all mold that appears black or dark is toxic. This is why if you find black mold which you suspect is giving you toxic symptoms then you should have it tested to identify the species of the mold before taking any drastic measures such as moving out or getting rid of your belongings. Why is Toxic Mold More of a Problem Now? Toxic mold species have always existed of course but recently they seem to be more of a problem. One reason is because of new building construction codes which came about during the 1970s in response to the energy crisis. These codes aim for higher conservation of energy which requires new buildings to be more airtight. This means that buildings are less ventilated, not being able to "breathe" as freely and pockets of moist air can be trapped for long periods of time, potentially leading to mold growth. Also many of the building materials used today are very well suited for mold growth. Mycotoxins produced from toxic mold is one of the major causes of sick building syndrome. If there is a toxic mold infestation in one part of a building the mycotoxins produced from it can quickly spread throughout the building in the air conditioning affecting everyone throughout. Below are some common signs to watch out for that could indicate you have mold growing in your house. If you can see mold growth, even if it's only small, you should take action immediately. Small mold patches can spread and the fact that there is any mold shows that the conditions in your home are right for mold to grow. Call me for a complete mold inspection and test if you feel you have mold in your home!